We at The Mike are back, and ready to make this our best year yet! As some of you may know (or may not, hi first years! ), The Mike recently came out of a bit of a rut. The paper was not being used effectively as a college newspaper should be. It had little direction and leadership, which contributed to its failure and less than stellar reputation. Last year, with a whole new team and vision, The Mike was led out of the dark and onto a new and hopeful path – which we are pledging to continue! Our goal at The Mike is to be the voice of the University of St. Michael’s College (USMC). After all, our mission statement is, ‘by students, for students.’ We aim to provide an adequate platform for USMC students to voice their opinions, and share what is important to them. Our amazing team of editors are prepared to work with every writer to maximize their writing potential. We have a large variety of sections that have the capacity to speak on many different topics and issues. We want to make sure that as the voice of our college, every student that wants to contribute to The Mike, does. We want to showcase the talent of USMC students! 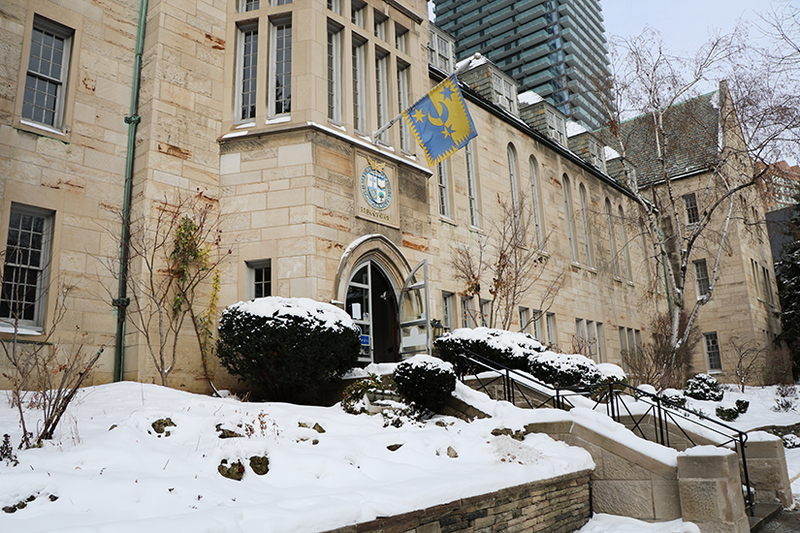 We publish news and other pieces that are relevant and interesting to the students of St. Mike’s. Keeping up with the news that is important to USMC students keeps us all informed about what is happening in and around our college. We are the number one source for St. Mike’s news! Another one of our goals is to hold USMC officials and governing bodies accountable. As the student voice, we have the responsibility for speaking on behalf of USMC students, and their wants and needs, making sure that we are getting what we deserve from our administration! We at The Mike believe that we have the potential to continue our growth as a campus publication! Our first issue of this year was full of great content, and lots of interesting articles that provoked some great debate. We want to continue this streak, and grow it even more! I have been part of The Mike for the past two years now, and I can honestly say that it has been one of the most rewarding experiences of my undergrad career! It has brought me so much closer to the greater USMC community, and I love being involved in such an important part of the college. Last year I was the editor of the Features section, and I got to experience working with writers and helping them write the best articles that they could. This ultimately made me a better writer, and prepared me for my current role as Managing Editor. The Mike has so much to offer for USMC students, both by participating in creating each bi-weekly issue, or simply picking up a copy and reading about what is going on in the USMC community.